can pitch and roll too a little, depending on your bindings. A large, mostly Hawkeye-BetterFuture, hovertank with a loadout of rotating heavy turrets. You wanted a tank? You wanted a hover-tank? Here it is, sign right below. Has a complement of useful stuff, but most useful of all - it is quite jumpy and can traverse difficult terrain. So normal Comcore? no special rules? How about this. Actually run my comcore from last week. I appreciate the Spot for my Mecha, but you guys horribly bodged it. The text descriptions right in front of you answered all your questions for you. I hope those watching picked up on that and werent totally confused by what you saw. Shrike Venture IS a transformer. a true transformer. blocks dont shuffle around through hot swapping, they move. obviously this uses Modded Swivels and Pistons to do the work. it walks, it has independant arm controls. it has fully animated transformation sequences all using what we have available in modded play. and it's head, the showcase of the work is my very own custom made block. And The venture one is Shrike. THe Geocorp one is Cyclops, which isnt finished yet, hense why it had no legs/tracks, but i felt oblidged to give a teaser. it's head is also a custom block by myself. i sincerely wish i could do video so i could show how they work, but im not so good with it. perhapse i can convince one of the youtubers to do a showcase for me. Anyways, if you want stuff on Shrike Venture and how he works, come visit me in the Modding Channel on Discord. All three of these are built off of the same chassis to illustrate the point of tech swapping kits around a single chassis for very different combat and noncombat roles. They all function in Aeroplane Control scheme. Use Ion Drives to thrust in car mode. So first the Darker Futures 'Rat' Assault Trike. It's Plasma Flamers and Phaser Banks are aimed foreward to deal maximum damage on a charge, then cut and run. It is fast and maneuverable and it's Hover "ears" keep it from tipping when making tight turns. Boost to do a large backflip to get behind would be pursuers. Next we have the Darker Futures Mouse Hovercraft. It's Plasma Flamers have been aimed downward so it can hover above and roast enemies. It's Phaser banks have been mounted for Point defense. It is fast and Very Maneuverable. Boost for added speed. Can turn well at high speeds. And since you guys forgot these lat week, Dont mind if i enter another entry in a bit. ultimately your guys's decision to give me the extra slot, but i think it's only fair. The 125 Destharine is a VTOL GAP fighter (V.G.F. is an acronym for acronyms), or a Vertical TakeOff/Landing Ground Assault Plane Fighter. 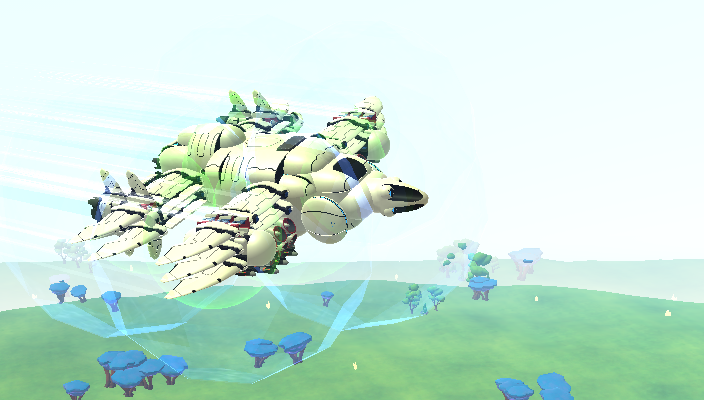 More commonly refereed to as a jumpjet, the Destharine takes off using downwards jets, then flies away like any ol' plane. It has airbrakes that allow it to come to a quick stop midair, and then it can also land Vertically using it's jets. Takeoff: press control (or whatever you have assigned to your boosters) to gain altitude, once at desired height or fuel runs out, press shift (or whatever you have assigned to propellers) to fly away like a plane. Landing: Align plane parallel to ground, release shift, and use control to throttle your fall. Mindl3ss, I think the reason they didn't read the text is because you made a wall of text so large you could have stopped the mongols with it..
my only point was a tad bit of pre-reading before the stream and it wouldnt have been an issue. Not really worried about it, they gave me the photo publicity i wanted. just wish they showed my actual comcore submission. they put it i the tech loader for the stream. you know the three Darker Futures ones. But Posted for this week, so all is well. Also, yes. funny. but i dont think it was that big of a wall of text... especially since this is me we're talking about. Im pretty sure iv maxed out a couple of post windows before. **You can skip the last 2 on the right cuz the big one's been on ComCor already(Just there for visual effect) and I'm attaching a video of the fourth one in case you want to play it. 1. For the first tech on the left, set Throttle to 51% ish. 2. Tap CTRL to manage Altitude. 3. 2nd and 3rd tech uses 40 and 64% throttle as neutral. You can HALF the throttle to land or descend. Instructions: Lift to set throttle, boost to rotate, x to remove the top. Fly upwards, remove the top, rotate around and tumble towards the ground to spill all the milk! It's sour milk so no big loss. A massive tank made to dish out damage, but more importantly, take it. The successor to my first attempt at a turreted tank, the Orion XI comes with a fully functional tank turret, capable of a full 360 degrees of rotation and a generous 50 degrees of vertical adjustments. The barrel has very little sway when properly charged, and little recoil when fired. Also comes equipped with an automated, defensive missile battery to help take care of swifter or airborne foes. It's been a while, but I got a couple of techs that you may have some fun with! It's a battle tech that was mostly built in the campaign and then touche up a bit in the R&D. It used to have only a SCU trailer, but after a bit of an upgrade it doesn't really need it anymore, but just in case I sent it too. With this tech you can do everything from harvest, refine, burn fuel for charging and also clean up the battle field in a fraction of the time it would normally take. Charge if battling, but make sure to hit X to make the SCU functional. As an extra option you can then deploy the Inventowy tech and attach it to the back of the main battle tech. From there you are ready to clean up any mess you could possibly make. And in the off chance you find it a bit laggy here is a short video of it in action!